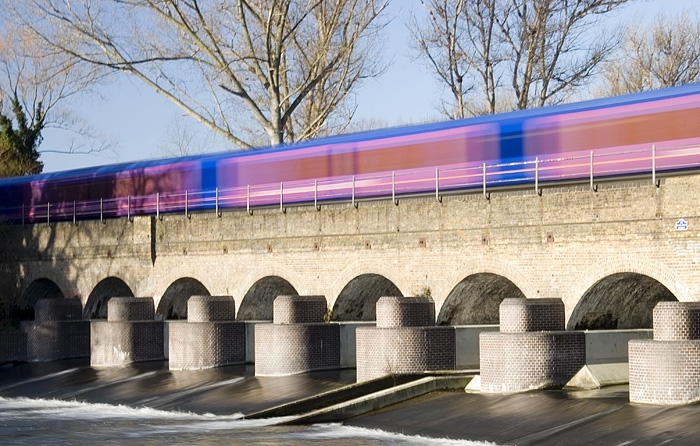 The Windsor to Waterloo train crossing over the Jubilee River. This ‘river’ is a flood relief scheme that diverts flood waters around Maidenhead, Windsor and Eton. This is the final bridge before the river re-joins the Thames.